At Bloggers Fashion Week in London, I was treated to a new kind of hair makeover. Surrounded by bright colours, the choice was mine. 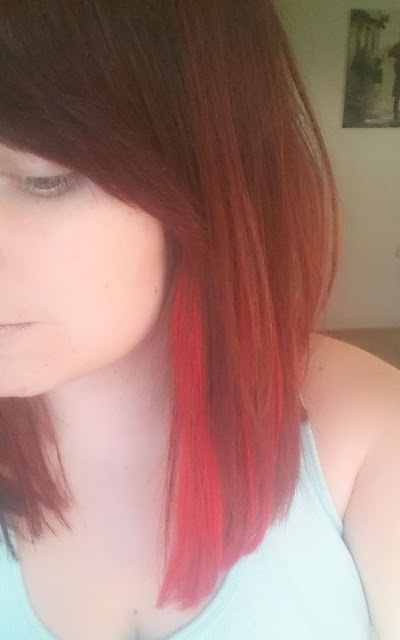 As my hair is pretty red at the moment I opted for the brighter red, to add a pop. And it did not disappoint. Here it is..
How no damage you ask? Well, much to many people's surprise when I walked into work after a billion compliments on my new hair everyone was very shocked to find out this little piece is actually not my hair. Shocking I know! It's cut to the shape of my hair and blends in soooo well. So we have no damage dying my hair and no pulling the roots with clip ins. A few pieces of very colourful Great Lengths extensions* are bonded to my normal hair at the root, don't panic! 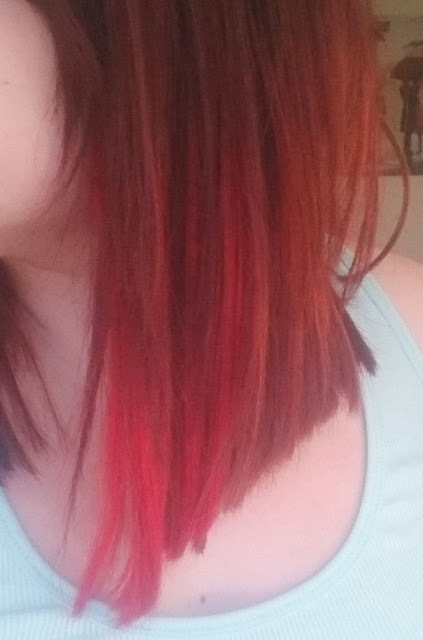 No cutting it out or ruining my normal hair, after a few washes it will un-attach leaving my hair exactly how it was. To find more out take a peek here. Have you tried Great Lengths? Are you addicted to colouring your hair? Or do you have a bad experience with extensions?